Blaze and the Monster Machines is an American 30 minute animation children television series, which kicked off on October 13, 2014, on Nickelodeon and is broadcast every Friday at 12:30. The show is currently in its 4th season. Nickelodeon is yet to announce the renewal of Blaze and the Monster Machines for Season 5 as well as its cancelation. Sign up to track down the show's status and its release date. 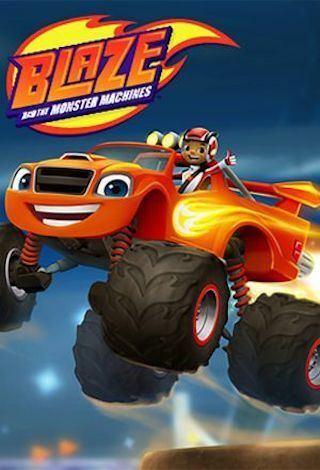 Blaze and the Monster Machines is about AJ who is an 8-year-old techie who drives monster-truck Blaze, the top racer in Axle City. The two go on adventures that have them taking on problems involving science and math. Many predicaments they face are caused by Blaze's rival, Crusher, a tractor-trailer that will do anything to beat other vehicles to the finish line. The animated series is billed as the first TV show for preschoolers to comprehensively cover areas of science, technology, engineering and math. Each episode introduces different STEM concepts, including buoyancy and trajectory.